BRIDGEVILLE, Del. (WPVI) -- The Delaware State Police have arrested a New York man after a road rage incident led to a physical confrontation between the drivers. Thirty-nine-year-old Jason Reed of Syracuse, New York has been charged with Possession of a Deadly Weapon During the Commission of a Felony (Vehicle), four counts of Reckless Endangering 2nd, Assault 3rd, two counts of Criminal Mischief, two counts of Endangering the Welfare of a Child, Malicious Mischief by Motor Vehicle, Disorderly Conduct, and Failure to Remain within a Single Lane. The incident happened around 12 p.m. Sunday on Sussex Highway near Bridgeville. Police say a 50-year-old Delmar, Delaware man was driving a Dodge Challenger northbound on the highway. Reed was driving a Chrysler Town and Country directly behind the Challenger with his wife and two children in the vehicle. According to police, Reed became irritated that the Challenger was traveling the speed limit in the left lane. They say Reed entered into the right lane and began passing the 50-year-old driver when he made an abrupt lane change back into the left lane striking the right front bumper of the Challenger with the left side of his mini-van. The Delmar man then drove into the center median and came to a stop. Police say Reed also pulled into the median and exited his vehicle to confront the driver of the Challenger. Police say the 50-year-old driver, who is disabled, exited his vehicle using a cane. Reed, police say, began an argument which turned physical, leading to the two men fighting in the median and causing more damage to the Challenger when the two fell into the side of the car. 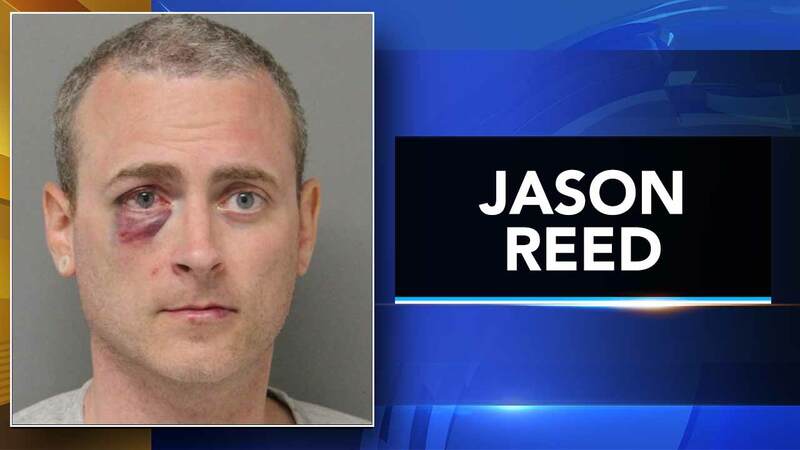 The 50-year-old victim was able to separate from the fight after police say he took a tactical advantage over Reed and forced him to the ground prior to Delaware State Police arriving to the scene. Reed's wife and two children remained in the Chrysler and were uninjured. The 50-year-old victim suffered minor injuries. Reed was committed to Sussex Correctional Institution on $40,350 secured bond.